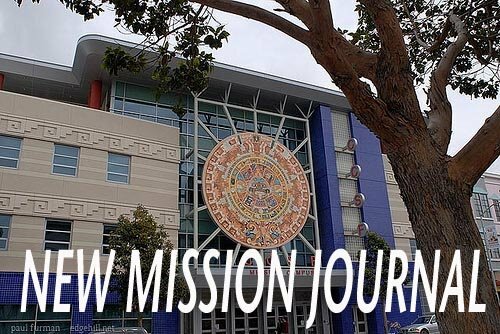 NEW MISSION JOURNAL: Maria Teresa Anaya "The Mary Kay Company and Me"
Maria Teresa Anaya "The Mary Kay Company and Me"
I was born in Los Angeles, California, but I was raised in Union de Tula, Jalisco, Mexico. I have been married for 23 years,`and I have four gorgeous children, who mean everything to my family. My husband and I own a beauty salon and a jewelry store in San Francisco. I am a hard worker and go-getter when I set my mind to I achieve my goal. Ever since I was child I was taught to work hard. My Dad owned a farm, and I was expected to know everything about hard labor. I have incorporated that knowledge of my childhood in my everyday life. On the other hand, I make good use of both my hard work and my time. In these last two years, I have joined the Mary Kay Company. I have been privileged to travel to Dallas, Texas, Ontario, Canada, and Atlanta, Georgia. These were nice vacations. Through Mary Kay I have won the use of a new car for my business, and also my monthly checks are fabulous. Last year I made $ 57,000.00. Wow! that was an impact for me and my kids' lives also. I can't ask for more in life. I have a beautiful, supportive, and dedicated family that is there with me no matter what. I love my life. If you asked me a questions about what I could change about my past, I would say, well I love school, and in the past, the school was far from where I used to live, so it was impossible for me to be a full time student. That's why right now I am coming back to school to finish something that I did not complete in my past, and I really enjoy being relaxed and enjoying myself. I thank God for my health and my second opportunity for education in my present life. I love my present class that I have with Mr. John Robinson. I’ve been learning a lot, about writing, especially when I enjoy reading and listening to articles from Voice of America and Edcon Publishing about all the most important people from U. S. A . It is incredible how individuals impact the life-style from any country. I love also San Francisco. The weather is one of the best on the Country. The the architectural style. It is beautiful and elegant. The economy was terrible for the last past two years, but right now it is getting better and better. I hope better years are coming back. I am really happy now because my next trip that I will have will be on August 1 through 5th in Dallas, Texas. The Mary Kay company will reward again like every year.